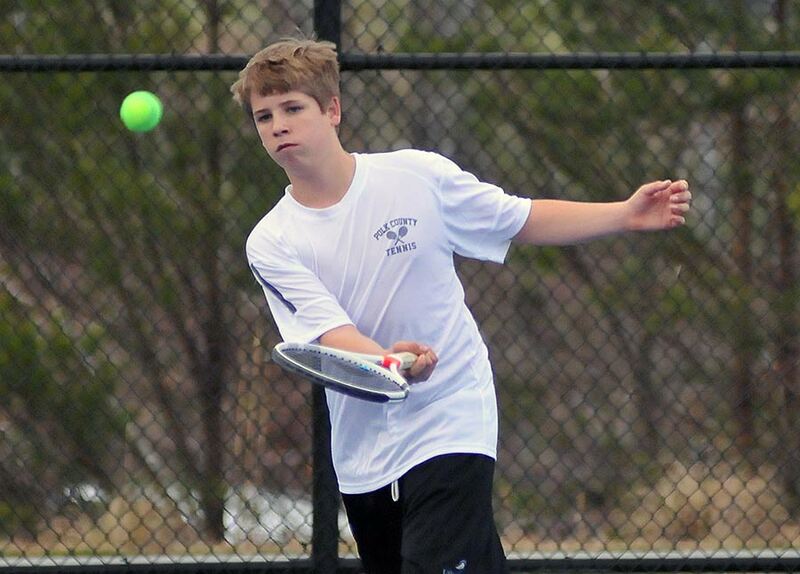 Weather played havoc last week with the Western Highlands Conference tennis tournament, but the event ended with Polk County owning a pair of titles. Polk’s Henry Monts and Owen’s Joseph Frith reached the singles final, but the fourth rain delay of the day prevented that match from being played. Monts was declared the WHC 1A champion and Frith earned the WHC 2A title. Polk County’s doubles team of Ryan and Henry Heider opted to compete as a doubles team and won the WHC doubles crown just before the final rain delay. Monts and the Heiders will take part in the 1A West Regional tourney on Friday at Mount Airy High School. The Wolverines will also be competing in the state 1A tournament and will find out Monday who they will meet in the first round of the state playoffs.